Chahal v. Seamunds. The Becket Fund for Religious Liberty (n.d.). Retrieved from https://www.becketlaw.org/case/chahal%e2%80%afv-seamunds/. Chahal v. Seamunds. (Apr. 04, 2019). https://www.becketlaw.org/case/chahal%e2%80%afv-seamunds/. "Chahal v. Seamunds." The Becket Fund for Religious Liberty. Accessed [Apr. 04, 2019]. https://www.becketlaw.org/case/chahal%e2%80%afv-seamunds/. The United States Military Academy at West Point will now accommodate Sikh soldiers, allowing them to wear their essential articles of faith, after two young men persisted for the right to serve their country without being forced to abandon their articles of faith. Cadet Arjan Singh Ghotra has been preparing to serve in the U.S. Army since high school. He volunteered for both the Civil Air Patrol and the Virginia Defense Force, and won the Virginia Defense Force Medal for his service at age 17. When he became eligible in 2015, Cadet Ghotra enlisted in the Virginia Army National Guard. After completing one year in the National Guard he applied to, and was accepted at, West Point. Like Cadet Ghotra, Cadet Ugrian Singh Chahal knew at a young age that he wanted to serve his country through the military. Inspired by a family history of army service and the service members he met growing up near the Selfridge Air National Guard Base in Michigan, Cadet Chahal worked hard and, like Cadet Ghotra, gained admission to West Point in 2016. From World War I until 1981, the U.S. Army allowed observant Sikhs to serve honorably in the U.S. military while maintaining their articles of faith. But a 1981 policy change banned observant Sikhs from military service simply because they wore turbans and unshorn hair and beards—two of the articles of faith required by their religion. As observant Sikhs, Cadets Ghotra and Chahal asked for accommodations that would permit them to continue their service to their country at West Point without having to abandon their articles of faith. Their requests were denied. They were left with the heartbreaking choice: to serve their country or to follow their faith. 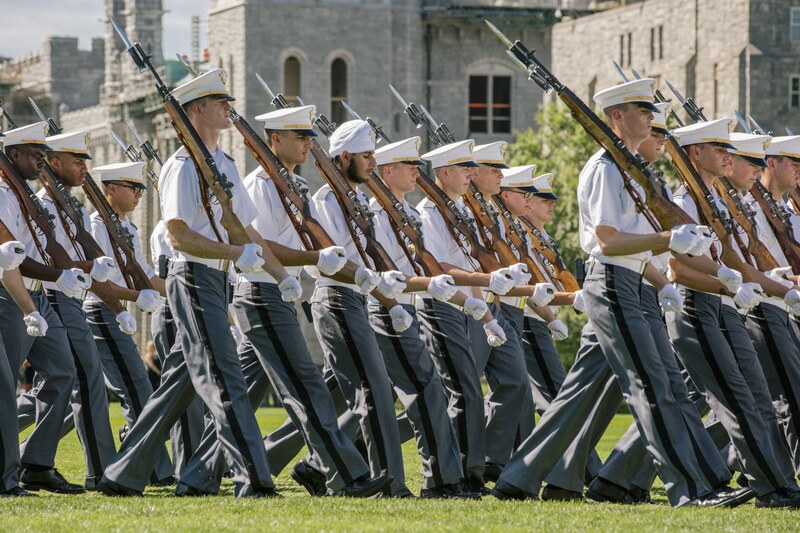 When Cadet Ghotra realized in March 2016 that he would not be able to participate in practice drills at West Point because of the prohibition on his articles of faith, he submitted his request for a religious accommodation. But because the Army refused to respond, Becket, the Sikh Coalition, and McDermott Will & Emery stepped in to challenge the Army’s policy. At a court hearing in August, the Army conceded that it had no legitimate grounds for denying Sikhs the full opportunity to serve their country at West Point and issued new guidelines allowing them to maintain their articles of faith while serving. Cadets Ghotra and Chahal are the first two fully-observant Sikh men to serve at West Point.